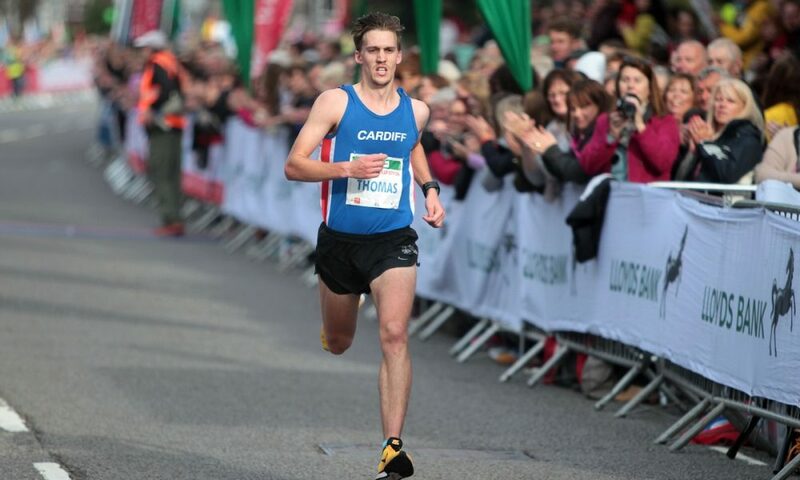 British and Welsh international Ieuan Thomas discusses his running story; how he started, what the sport has given him, as well as the highs and lows of his career so far. My first memory of running that stands out was a primary school sports day. I think it must have been Year 5 or 6, where we had a ‘long distance race’. In reality it was probably about 300m, around a tree and back. I ‘outkicked’ the kid who was considered the fastest in the school. And by outkicked I mean cut him off over the last 50m. I definitely should have been disqualified! When running became a sport. I started getting serious about running when I was 13. I did every sport offered to me in secondary school and was a pretty good basketball player, but never really trained specifically for any particular sport. It wasn’t until I came third in a regional school’s cross country race and got selected to run for East Wales that I even thought about running being my main sport. I was still playing local football at the time and used to run home from football matches (which was about two miles) just for fitness. I ran that regional race in a pair of football boots (one of which I lost halfway around the course), but I got the running bug. The next week I joined Cwmbran Harriers and was fortunate enough to be coached by the late Dave Lewis who was producing some of the best young distance runners in the country at the time. From that point on I pretty much quit taking any other sport seriously and became a runner. A few months later I had my first Welsh vest. Why I love running. There’s just something about running that draws you in, and I don’t think it matters what level you compete at or aspire to. There’s definitely something cathartic about it, and it’s easy to see the improvements you’re making. The main thing that really drew me into running in the first place was the simplistic, objective nature of results. You run a race and get a position or a time, and that’s what gives you a ranking. I always found team sports far too subjective, especially when I was young and trying to be selected for regional teams etc, and you somehow missed out because the coach’s son got picked instead. I saw it all the time. But with running, for the most part if you win the trial race you get selected and I loved that simplicity. 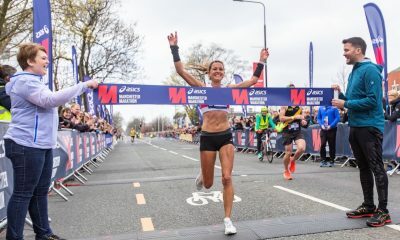 As I’ve got older and become a more experienced athlete, running has become part of my personal identity, and it’s something that you share with the wider running community. I get inspired more than anything by the people around me, and there’s nothing quite like seeing one of your best friends or training partners running well. Running seems to draw people together much more than other sports, I think there’s just a level of respect as we all understand the effort and sacrifice that goes into training. Becoming an international athlete. I’ve never been short on confidence. From day one of joining my first club, I believed I had the ability to become a GB International. Of course, I thought it was going to be over cross country at the time as that is what I seemed to be quite good at, but I always had that belief that it would happen. If you would have asked my cocky 15 year-old self how long it was going to take, I certainly wouldn’t have said another 13 years though. And as I came into the senior ranks I definitely started to question whether it was going to happen for me or whether I’d hit my ceiling. However, once I turned to steeplechase and started running some solid times and progressing once again that reality that it could happen started to seep back into my mindset. My transition to the steeplechase. I stumbled into steeplechase (poor choice of words considering my injury history) more than anything. I was working really hard as a 1500m runner but wasn’t really seeing any major improvements in my times. There was always something mystical about the steeplechase for me, I had the idea that I was a naturally quite a good hurdler too so I decided to give the 2k steeple a go at one of the regional meets and did quite well. One of my roommates at university was a steeplechaser and helped me a lot too, although I don’t think I did a training session with hurdles for a couple of years after that. I’d say I truly became a steeplechaser at Western State Colorado University, where I did my post-grad. They were known as ‘Steeple U’ and were a DII powerhouse, one of the reasons I decided to go there. I made huge improvements to my technique, did truly steeple specific sessions for the first time ever and knocked 15 seconds off my PB in a year. It was a bit of a revelation for me and made that transition so much easier. Competing at the World Championships and the Commonwealth Games. The World Championships was incredibly special for me as it was my first ever GB vest, and on one of the biggest stages of them all. It was a strange experience though as I’d collided with a barrier trying to time-trial the standard at a British League race in Bedford only a few weeks before, and I’d ended up tearing my quad. So it was a rush to even get me to the start line, and huge credit to the Welsh Athletics Physio team for making it possible. Even so, I knew heading into the heats that my preparation just really hadn’t been that good. Looking back on it, I think I was kidding myself with how fast I thought I could run. So not making the final really shouldn’t have been a surprise, but at the time it was a tough blow running so poorly in your first British outing. The Commonwealth Games for Wales was completely different, and by far the best running experience of my life so far. It’s my first time travelling with a full team cohort to a major championship and having a prep camp beforehand. As I work full-time I really don’t get the chances to go on training camps, so this was a special opportunity having a prep camp on the Sunshine Coast and coming into the race in fantastic shape. The race itself again ended up a little disappointing but didn’t take away from the overall experience for too long. It just made me even more determined. Once you have a taste of these major champs you just want more of it, and as I continue to improve, I’ll be able to handle them and truly do myself justice. Club athletics. I do feel a loyalty to my club because it’s my local city; I’ve lived in Cardiff for many years and I do feel proud to call it home. However, for me right now, there are not many opportunities that club running can offer that will benefit my personal running agenda. 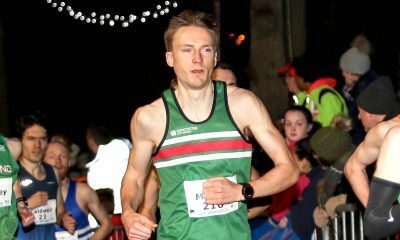 I love competing for my club at events like the road relays, and winning the 6 stage with Cardiff a few years ago was incredible, mainly because I got to share that moment with friends and training partners who I have known and run with for years. Clubs offer great opportunities for young and developing runners. 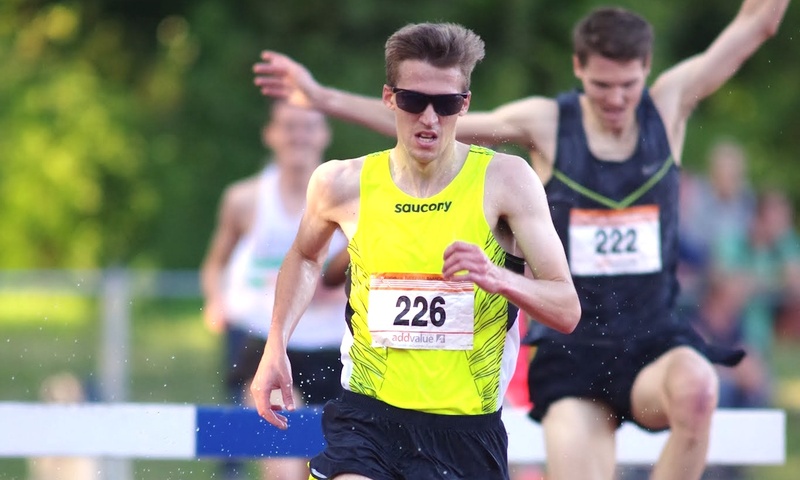 The coaching setup is fantastic and Young Athlete and British League competitions allow racing practice to a certain extent, I certainly competed in them profusely as a young runner. However, once you reach a certain level, club competitions start to lose their relevance as you look to find faster races and better competition to take you to the next level. My career high. There are two moments that really stand out for me immediately when thinking about this. Getting the selection call for World Championships – I can’t put into words how much that first GB vest meant to me. Then, running my first Commonwealth ‘A’ standard last year at Stanford. This was a huge deal for me as I’d pretty much ‘put all my eggs in one basket’. I’d taken my maximum annual leave from work, and spent a huge amount on travelling out to California to race the Stanford Invite with the hope of running the qualifying time for the CWG. I even went back to Colorado for a few weeks of altitude beforehand to give me the best chance. 100m into the race I was tripped and hit the deck. All the sacrifices I’d made to try and make the CWG flashed before me and I genuinely thought the whole trip was going to be a waste. I managed to get back up pretty quickly, get back into the group, come second in the race and run the standard. What a feeling that was! My career low. Probably missing out on the Glasgow Commonwealth Games in 2014. I’d run a B standard by five seconds on the very last day, but it wasn’t good enough. I nearly quit the sport after that disappointment. I’m now glad I didn’t. Like/dislike – track. Track season is my season, it’s what we build towards all year and it’s the season that means the most. It also means I finally get to race my specialist event, which only happens a few months per year. Solo sessions are a dislike. Being a steeper often means being on a different schedule to the rest of the group and I do a lot of track sessions on my own. Like / dislike – roads. Long winter session with the group are great. We have an incredible group of people based in Cardiff. Guys like Jake Heyward, Tom Marshall and Jake Smith are incredible to train with and make you up your game. I love the days when you’re feeling good and just rolling on the front of the pack, making everyone work that little bit harder. Morning runs in the winter are a dislike. Working full-time means if I’m going to double the first run needs to be at 6.30am. Most of the time that means layering up, grabbing the head torch and just getting it done. It’s not motivating to wake up when it’s dark and cold. Like / dislike – cross country. Cross country is just fun, isn’t it? It reminds me of being a young athlete when I was actually good at cross country. I often go into cross races with not much expectation, just expecting a really hard race and a quality workout. The mud is a dislike. My biomechanics are no longer favourable to deep, sticky mud. I’m much more of a rhythm runner, rather than a powerhouse cross country athlete, so when it comes to the mud I definitely struggle. The future. I’ve been to the Commonwealth Games, European Champs and World Champs. So I need to get my Olympic berth to finish the set of majors. I’m also not satisfied with how I’ve performed at major champs so far, so I still have my eyes set on more, and making sure that I make the finals at least. My final piece of advice. Get a good pair of running shoes. Ladies – get yourself a good sports bra, measured to fit. Try not to increase your mileage too quickly. Set realistic goals and try and make running as fun as you can. It’s a simple sport. 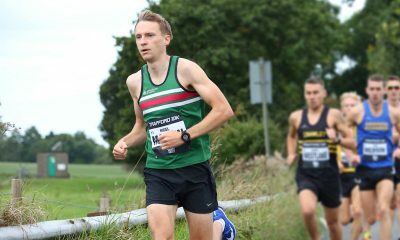 Ieuan Thomas is a proud Saucony UK Ambassador, he is supporting the launch of the Triumph ISO 5, which are available to buy from your local retailer here or www.sportsshoes.com.